Suddenly "digital art" is everywhere. Recently, Art Basel's Global Director Marc Spiegler guest edited a series of conversations for CNN with four pioneering leaders & gallerists in the digital art community (Steven Sacks/NYC, Pilar Corrias/London, Nadine Zeidler/Berlin and Leo Xu/Shanghai), entitled, Decoding the Thrilling World of Digital Art. His thought provoking questions (e.g. How do you sell an algorithm?) resulted in several must read articles on digital art. 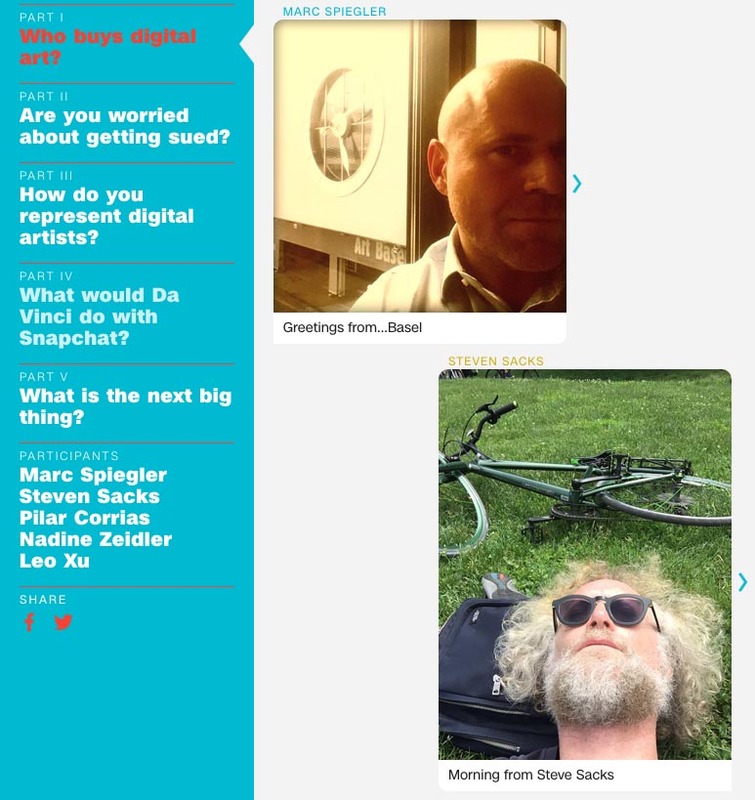 Marc Spiegler: "If you could only use one software/app in your gallery work what would it be? Nadine Zeidler: "We are still looking for this program. If you find it, let me know." This speaks to exactly what we've spent the past two years passionately working on here at Niio, a purpose-built, end-to-end platform for the management, distribution and display of video and new media art. How do you represent digital artists? What would Da Vinci do with Snapchat?